It would appear that Anthem will have a campaign mode that can be played solo or co-op. This is hardly surprising because such a mechanic is pretty much de rigueur these day in gaming. On paper the ability to play through content collaboratively is a great idea. Small groups of four people or so are theoretically easier to manage and co-ordinate, unlike large unwieldy raids in the MMO genre. Discord (and such like) provides a quick and easy way for people to communicate. And despite ongoing improvements in AI technology, playing with other people often provides a superior experience. Mutually agreed tactics are more likely to succeed and if things take a turn for the worse, real players can improvise more effectively. Hence co-op play seems to be industry darling at present and is seriously putting a dent in the MMO market. However, the reality of co-op play is often quite different from its notional benefits. I have dabbled with this functionality via several games in the last twelve months and have had decidedly mixed results. First off, finding a group is very much dependent on the popularity of the game. If the game is a new release, then this is not an immediate problem. But if you’re playing the game of the year edition, twelve months after launch you may well find the player base has greatly diminished. Then there’s the age-old problem of player behaviour, that seems to have become exacerbated of late. I have encountered little or no communication from fellow players, as well as the ubiquitous malcontents who sound off at everyone and everything when things don’ go their way. Which leads to the other major problem that co-op regularly presents. Namely fellow group members leaving because things are not going the way they want. It is by far the most frequent failing of co-op play, in my experience. Sadly, because online behaviour per se seems to be a race to the bottom nowadays, I cannot advocate the automated group finding tools that many games now have. Last year, I found that Sniper Elite 4 and For Honor could deliver an adequate co-op experience about two thirds of the time. One in every three games was impeded by another member of the group. Twelve months later I find that the opposite is true. Two out of three co-op games are either blighted by player behaviour or suffer due to team members abandoning the group. This is particularly true of Friday the 13th: The Game and as a result the developers are currently working on implementing a penalty system for habitual offenders. When I do find myself in a PUG I frequently find there is a distinct reticence towards communication. It’s as if there’s an assumption that everyone knows what to do and that the task in hand needs to be undertaken as quickly as possible. Sadly, the only people disposed towards talking are those who have little of worth to say. Perhaps it’s a generational thing and I am unreasonable in expecting both courtesy and a willingness to work together when playing co-operatively. But I am now at an age where my tolerance for the socially dysfunctional, the trite shenanigans of youth and general ill manners are virtually non-existent. So auto grouping is fast becoming a waste of time for me. Which leads me neatly into the only alternative; playing with friends. Simply put, as you get older is common to find your social circle reduce in size. Jobs, relationships and family mainly account for this. Hence a lot of people that I would play with collaboratively a decade ago are not available anymore. From what I’ve seen from You Tube, those players who regularly play co-op games are often half my age. Of my friends who are available, there is the further complexity of time zones and the simple fact that not everyone has the same gaming tastes. More often than not I find that my Steam friends simply don’t play the same games as me. And as I’ve moved away from the MMO genre I find that I really miss the practical benefits of guilds. Once again, we see something that on paper should be a major boon to the gaming community, being usurped by the lowest common denominator and rendered ineffective as a result. It seems to be the fate of all online social tools these days. Perhaps that’s why many game developers still include a solo mode with AI bots in their games, because they know in advance that a substantial element of their customer base is going to be “problematic”. 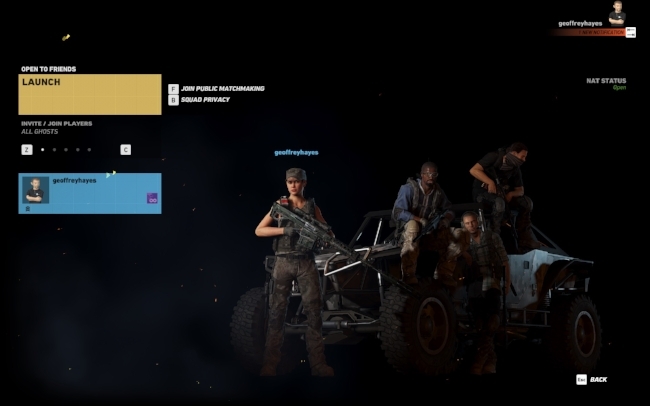 May be the solution to the co-op play is to make the auto grouping tools more sophisticated and use them in a way to facilitate a good experience. This could be through incentivising acceptable behaviour and rewarding a team if they deem the experience to be positive. Conversely, providing a means to highlight and sanction poor behaviour would also be a positive step. However, such facilities require time and money to develop and policing a community requires human agency. All of which ultimately contribute to a games bottom line, so I won’t hold my breath that this issue is going to be solved any time soon. In the meantime, I’ll just continue to rely upon AI bots and come to terms with the fact the co-op play doesn’t appear to cater for my requirements.